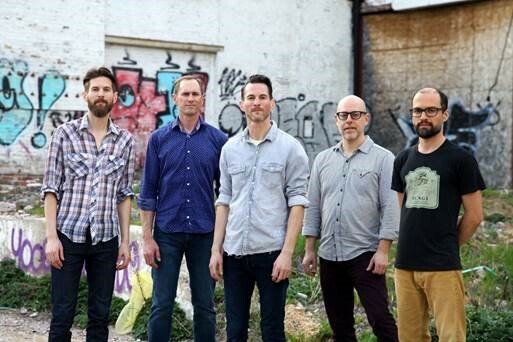 Instrumental jamband LOTUS recently released their new album, Frames Per Second, and now the quintet is on the road in its support, which will find them stopping in the Denver area for two shows: Friday, April 26 at Summit and Saturday, April 27 at Red Rocks Amphitheatre. The Red Rocks show will feature special guests Ghostland Observatory, Jade Cicada and Magic Beans.Might you be interested in conducting an interview or reviewing the album to preview the shows? 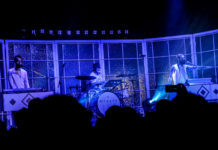 Lotus surprised fans on December 5th with the release of Frames Per Second, an all-instrumental 19-song studio album and accompanying documentary. Tracked live at Rittenhouse Soundworks in Philadelphia with cameras rolling, the new album aims to showcase Lotus in a pure, raw form performing live in the studio. Norwegian space-disco and psychedelic rock are just some of the sounds that influenced the expansive audio and video project. PRESS HERE to listen to Frames Per Second, available digitally and as a 3-LP vinyl set with video downloads and video-on-demand options. PRESS HERE to watch a promo video for the Frames Per Second documentary. Read the DEH Q & A with Luke Miller here. 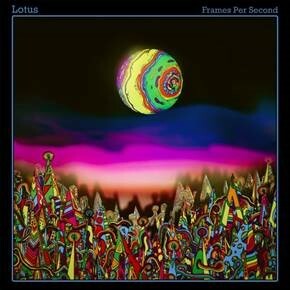 For Frames Per Second (written and produced by Jesse and Luke and available via the band’s own label), Lotus aimed to incorporate psychedelia into the album’s sound by combining hypnotic beats with unexpected harmonic or timbral turns. Songs such as “December Sun” and “Milk & Honey” have sections that can wash over the listener like waves. The band also put their own spin on different classic funk styles, like 70s Fusion, West Coast G-Funk, Instrumental Soul, Boogie, and 80s Electric Funk. Musically, Lotus – Mike Greenfield (drums), Jesse Miller (bass, sampler), Luke Miller (guitar, keys), Mike Rempel (guitar) and Chuck Morris (percussion) – has always been difficult to define; an instrumental jamband that has favored groove-based improvisation instead of gaudy solos and noodling. Influences of classic electronic dance music, funk, post-rock and dance-rock have all made their way into the Lotus sound. Over the years, their unique musical blend helped forge a new path in the jamband landscape, influencing many younger bands in the scene. Approaching two decades together, Lotus has toured actively throughout the US working their way up from dingy basement clubs to world-class venues such as Red Rocks. 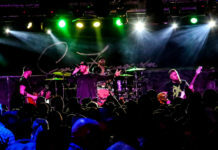 They’ve become festival favorites, playing everything from Bonnaroo, Camp Bisco and Outside Lands to Ultra Music Festival and Electric Forest, building a hyper-loyal following along the way. Read the DEH Q & A with Luke Miller here. ?